Morris Minor: Colour advert from Good Housekeeping magazine c.1933. 295 x 215mm. Corner crease. Category: Motoring. 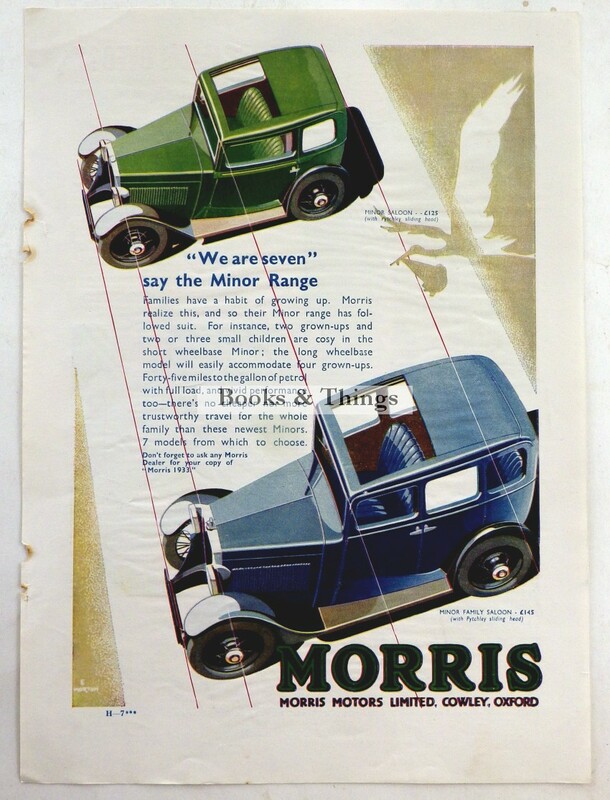 Tag: Morris Minor advert 1933.